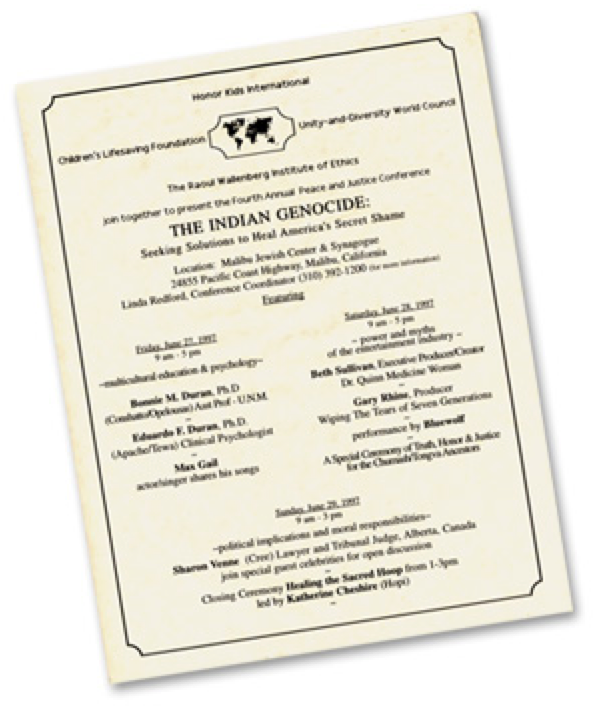 A signed petition requesting that President Clinton designate a day in recognition of Native Americans and a documentary film in process intended for public schools were the result of the recent Raoul Wallenberg Institute of Ethics fourth annual Peace and Justice Conference at the Malibu Jewish Center & Synagogue. 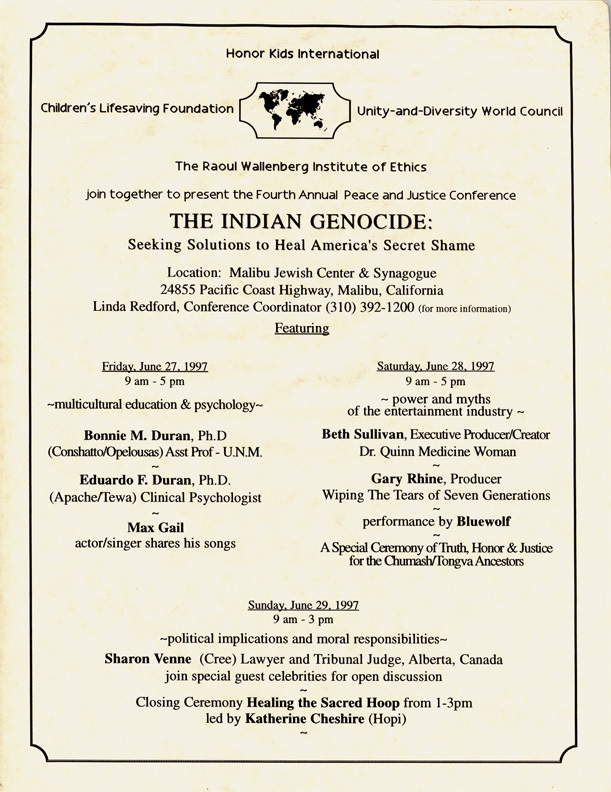 Highlights of the conference included ….Bonnie Duran, a Native American Professor of Public Health at the University of New Mexico and a featured speaker….Max Gail of “Barney Miller” fame went over big with his original songs reflecting the conference theme…and Beth Sullivan, producer of the T.V. show “Dr. 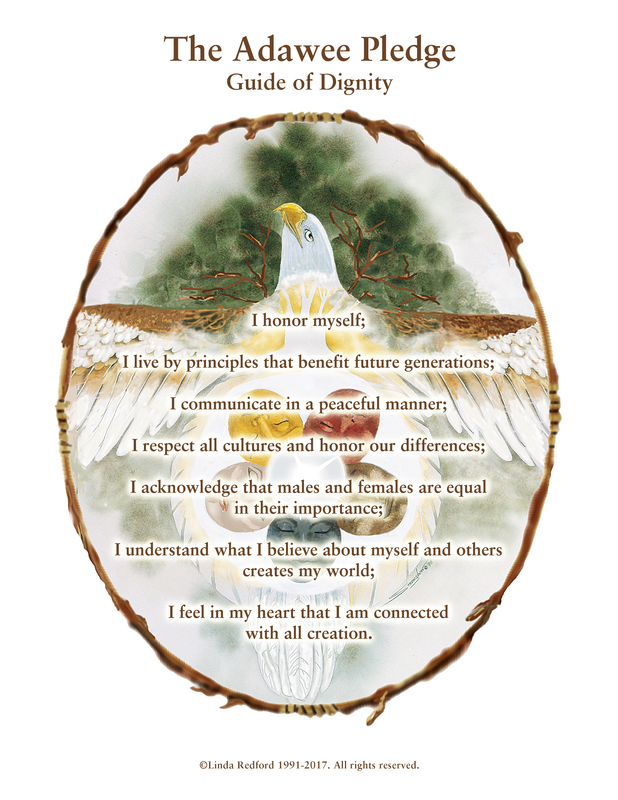 Quinn: Medicine Woman,” spoke about her difficulties in airing an episode about an Indian massacre. Filmmaker Gary Rhine said, “We hope students around the country will see this documentary and understand the truth about the ‘American Holocaust.’ And we also hope that people will be encouraged to conduct more of these meetings. To see the program cover full size, please click here. To see the News article, please click here.